These presentation slides 42630 are complete compatible with Google Slides. Simple download PPTX and open the template in Google Slides. 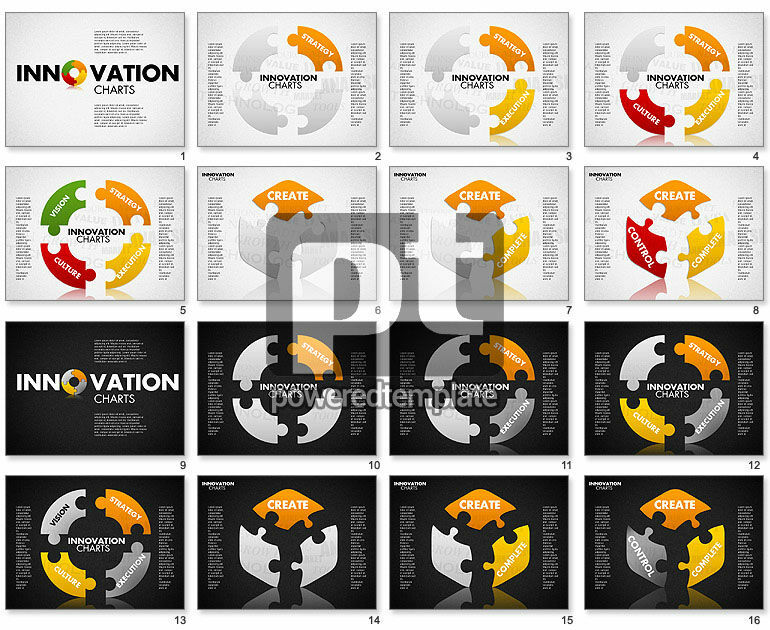 Feel free to pick this incredibly creative template in a jigsaw puzzle modern style. It is designed on two kinds of the background, with cool various items cut in a puzzle manner. This stunning sample is a good choice for showing innovations, some parts of work, correlations, phases, details, step by step actions and stages. Your audience will definitely love its cool style and usability.